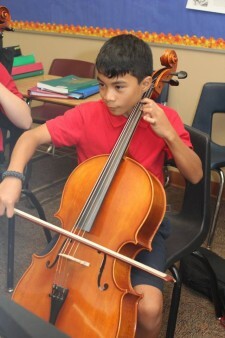 Music is a highly valued part of the MCDS curriculum from Pre-K through twelfth grade. Students begin in lower school general music, choir, and piano lessons (starting in first grade). In fifth grade, students have a variety of instruments they can choose from and play in an ensemble (band, choir, orchestra). 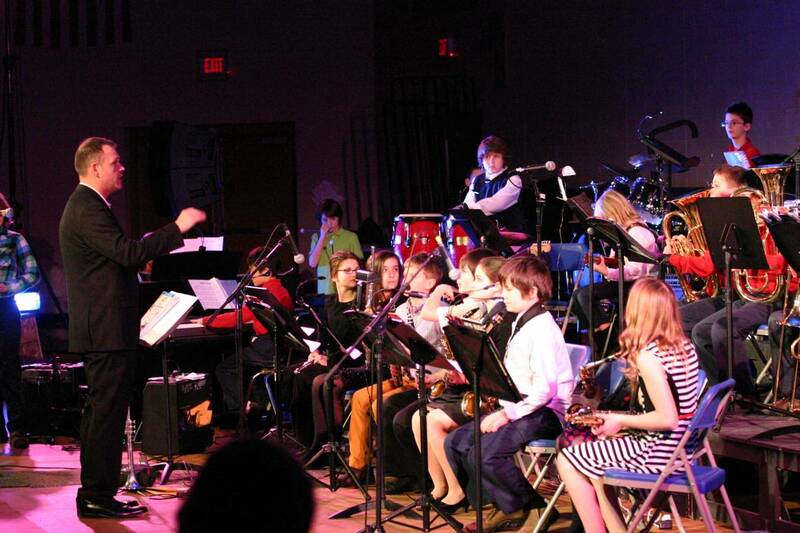 The MCDS music curriculum develops well-rounded musicians beginning at a young age by providing both structured and creative opportunities for students. MCDS celebrates the efforts of our lower school choirs, middle and high school bands, choirs, and orchestras in regular concerts throughout the school year. These concerts are wonderful community events that showcase the work of our MCDS students. In addition, students (first through twelfth grade) have the opportunity to perform in a solo or small group capacity during our regularly scheduled recitals during the year. We welcome parents and friends to these wonderful performance events. This week-long school-wide event highlights the importance of all the fine arts at MCDS (visual arts, music, drama, and dance). Guest artists in each area visit MCDS to lead sessions and master classes. The week culminates with a gallery walk of student art and the Jazz Showcase. The MCDS gymnasium is transformed into a cabaret and dance hall. Along with the MCDS jazz bands, an invited professional band comes to perform, and guests have access to dance instruction from professional instructors. The Jazz Showcase promotes the Madison Country Day School music program to the MCDS community and general public, through performances by our own MCDS music students, with the pinnacle of the concert being a live performance by a professional ensemble featuring some of the Midwest’s finest musicians and educators. Throughout the week prior to the Showcase, these featured professionals and others host presentations and master classes in their area of expertise during the school day. Students have a chance to perform for these guests and receive constructive criticism in order to improve their skills. The MCDS Jazz Showcase was established in 2008. Past themes include: “The Legends Concert”, “Jazz on Stage and Screen”, “The Big Easy, A Tribute to the City of New Orleans”, “Swing, Swing, Swing” (A tribute to the dance band era), and “Baila Que Baila” (Latin Jazz and Dance). The Showcase is truly a unique event, in part, due to the important balance between entertainment and education. Our music students in Kindergarten through third grade also participate periodically in the Madison Symphony Orchestra’s (MSO) “Up Close and Musical” program which includes visits to MCDS classrooms by smaller chamber groups from MSO. The culminating event following these visits and classroom preparation is a field trip in May to see and hear the Madison Symphony Orchestra in a live concert setting. MCDS is a proud member of the Wisconsin School Music Association (WSMA). 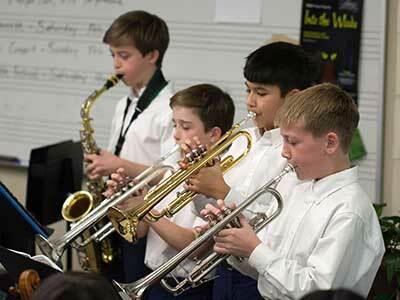 Students in grades sixth through twelve participate annually in district and state solo and ensemble festivals, large group festivals, and the music composition project. Offered for boys from second through twelfth grade, this annual event is hosted by Madison Youth Choirs. MCDS music teachers recommend boys to participate in this day-long event that helps them find the joy and camaraderie of singing together. Congratulations to Eleri ’19, James ’22, and Rhea ’24, who received awards in WSMA’s 2019 Student Composition Project!